What makes the Iveco windscreen so special? What exactly is the damage occurring in your Iveco windscreen? based in Turin. 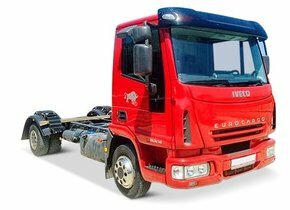 The fact that Iveco has grown over the years into one of the world's leading manufacturers of trucks and buses can be seen from the figures that are produced annually. 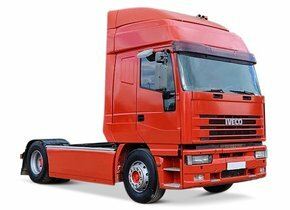 On average, approximately 200,000 vehicles roll off the tyre at Iveco every year. Although the company CNH Industrial was only founded in 2012, the creation of the Iveco brand took place in 1975. 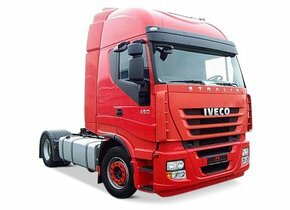 A not insignificant part of Iveco's popularity has grown out of the special quality that this brand possesses. Of course, this does not alter the fact that you can always be confronted with certain damage, for example to the windscreen. In these circumstances, the windscreen replacement of your Iveco may be appropriate. Autoglas Concurrent can be of excellent service to you. We can safely say that a car windscreen and therefore also your Iveco is a clever example of ingenuity. In comparison with the side and rear windows of your car, the windscreen will not just splash apart in case of damage. The damage will therefore manifest itself in the form of an asterisk or a big crack. This is because the windshield of your car is made of laminated glass. This glass consists of multiple layers with a PVB film in between. This film is a kind of plastic material that has an adhesive effect on both sides. By using such a film, in combination with the unique production process, it can be ensured that the windscreen of your Iveco does not just splash apart in case of damage. This does not detract from the fact that replacing an Iveco windscreen in case of damage in the form of an asterisk or crack may not be interesting or even necessary. 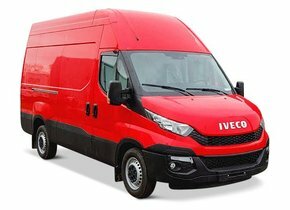 In order to determine whether your Iveco windscreen replacement is immediately necessary, it is important to remember where the damage can be found. We hardly distinguish two different possibilities in this respect. Damage to the windscreen may occur inside and outside the driver's field of vision. Can she be found in the field of vision? In that case, the windscreen replacement of your Iveco is an absolute must. Can damage be determined outside the driver's field of vision? Then that is another story. The windscreen replacement of the Iveco is not necessary at the moment, but is still recommended. 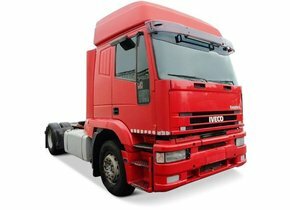 A windscreen replacement of an Iveco is often postponed by the owner for some time in case of damage. This has everything to do with the fact that there is a strong price attached to the purchase of an original, new Iveco windscreen. Of course, this money does not have many people lying separately. Fortunately, it can also be done differently. Autoglas Concurrent offers its customers the opportunity to use a so-called after-market windscreen. Such automotive glass is much more sharply priced because it does not have a brand logo. In the case of an original windscreen, this brand logo ensures that it can only be sold by an authorised dealer, which obviously has a not insignificant impact on the cost price. In terms of quality, there is no difference between an original and an after-market Iveco windscreen. The after-market car windows of Autoglas Concurrent are therefore produced according to the strictest European quality standards. This is not surprising because both original and after-market car windows are produced in the same factory and on the same production line. All this ensures that the windscreen replacement of your Iveco with an after-market car window is always a good idea. Purchasing a new Iveco windscreen from Autoglas Concurrent ensures, as you have already read, that you can always count on an interesting financial advantage. However, there is more. You will want to be absolutely sure that your damaged windscreen is replaced by a real expert. For this reason, we outsource your windscreen replacement from your Iveco to certified partners. We call on these partners because this way we can be 100% sure that you can replace your damaged Iveco windscreen as efficiently as possible. Do you have to wait a long time with another party before you can drive your Iveco again? With Autoglas Concurrent you can get back on the road with your car within a few hours!